Fierce Software—one of the youngest partners in Red Hat’s ecosystem—is helping organizations in the federal landscape overcome the fear of innovation by debunking the myths of exacerbation and failure. “We are aiming at extreme innovation by bringing the power of mobile, agile, disruptive, secure, and cloud technologies that can provide ‘next generation’ IT capabilities to the federal sector,” says Updegrove. When it comes to unleashing breakthrough innovation in government space, Fierce Software has laid its winning wager on Red Hat’s firm and coherent grasp on the open source community to meet the clients’ mission-critical IT needs. "The diversity of our manufacturer relationships enables us to span organizational boundaries to address various use cases and requirements"
Within the federal sector, the demand for delivering value is increasing amidst shrinking budgets, forming an IT delivery gap. Herein lies the value proposition of Fierce Software, where innovation is synonymous with trusted open source solutions. Open is not just a four letter word for Fierce Software. It is the way for opening up new possibilities while cutting down the costs. The firm tides over the IT gap by delivering on Red Hat’s leading open source solutions and technology to state and local governments, federal agencies, and universities. From Linux platforms, virtualization, cloud computing and storage to mobile platforms and JBoss Middleware, Fierce Software implements the entirety of Red Hat solutions for a flexible, scalable, secure, and high-performing IT infrastructure. 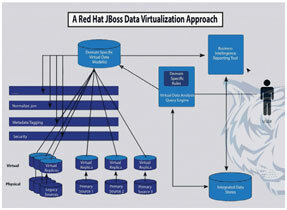 Apart from reselling the most stable Linux OS and compute platform—Red Hat Enterprise Linux, the firm assists developers in accelerating and integrating their app development with JBoss Middleware. For enterprises with disparate storage silos and geographically dispersed datacenters, the Fierce team chalks out a plan with data architects that will eliminate the silos and unify their data for an effective migration to stable data-management platforms using Gluster and Ceph Storage. 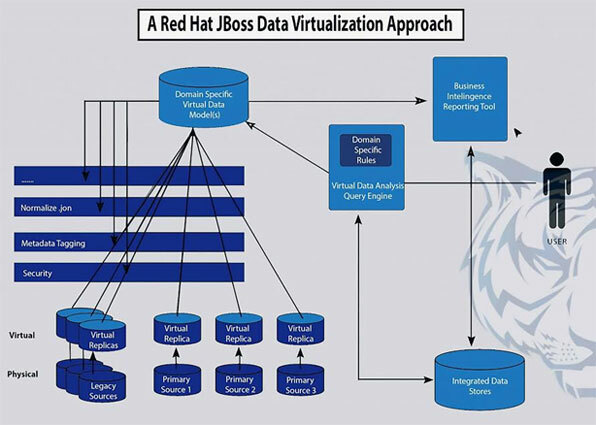 In addition to this, they also standardize data connection and ingestion using JBoss Data Virtualization that solves complexities, enables agile data use, and makes data easier for developers and users to work with. To top it off, the team offers strategic advice to customers on how to automate and move to the cloud using technologies like Ansible and OpenShift. Fierce Software leverages the diversity of their manufacturer relationships to span organizational boundaries to address various use cases and requirements. For instance, with a core focus on emerging technology and DevSecOps, the firm has recently forayed into big data through its partnership with Hortonworks. In the words of the General Manager, “Hortonworks is the industry’s only pure open source enterprise-ready provider of data platforms, including Apache Hadoop, NiFi, and Spark. Hadoop clusters are incredibly complex to install and configure, introducing a clear benefit of automation. Red Hat Ansible addresses this requirement.” It is this inference—understanding and realizing the added synergy through the common configuration and practice of hosting Hortonworks Data Platform on top of Red Hat Enterprise Linux—that efficaciously brings more customers to Fierce Software. 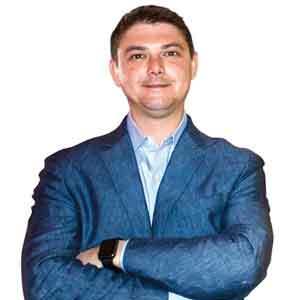 “The relationship was a natural fit, and it enabled us to bring together discussions and solutions that span the infrastructure, application, security, and big data teams of our customers,” he adds. Fierce Software has been a trusted partner for customers in identifying their needs, recommending the state-of-the-art technologies and implementing the most befitting solutions. More than just technical expertise, the team works as a strategic adviser to organizations, helping them navigate the continuously changing technology landscape, while presenting a comprehensive view of their IT requirements and meeting it with cost-effective solutions. The company achieves this through hands-on activity, workshops, and user groups–by getting out and being a part of the Federal IT community. The company hosts full-day training courses on Red Hat Emerging Technology solutions, which enables them to open the entire community geared towards Government IT to its customers. Fierce team also has a ‘Tiger Lab’—a traveling showcase— that sets up a classroom environment for clients across various locations. Here, students can experience real world scenarios that employ Red Hat and other complimentary Open Source technologies in IT environments. “Our setup allows us to demonstrate just how simple it is to achieve hybrid cloud computing. Sure enough, you would be hard-pressed to find another Red Hat partner who has made a similar investment,” Updegrove says. The Federal sector has been long misled into thinking that technology is a bailout for IT requirements. However, the truth is that more than technology, it is about ensuring success and delivering value through innovation, right application, and fresh thinking. The team at Fierce Software has successfully uncovered this missing piece of knowledge. “It’s not enough to just show up and push paper anymore; challenges are overcome by getting out there and showing users what can be done with technology,” points out Updegrove. The Fierce team’s engagement with Federal community works along these lines. “Users are witnessing the possibilities and bringing it back to their teams saying ‘wow we need to be doing this,’ or ‘hey Management, this is going to change the way we work here and give us time and abilities that we never knew were possible.’ Customers want to see these solutions as tangible assets, and we are doing that for them,” extols Updegrove.